Frequently, relatively shallow grooves are design to improve appearance, minimize center waviness or add strength to the product. The grooves can be either formed or stretched into the flat area. Where to form or sketch the flutes? If the flutes are roll formed, then they require more wider strips. While the stretched grooves take material from the adjacent areas and no need additional material. The formed or stretched grooves can be formed in the first or in the last passes or in between. The steps where to form grooves usually depends on the type of product, the anticipated shaft deflection, and the experience of the designer. When the grooves are made in the first passes, they are usually roll formed because the material comes out from the sides. And If the flutes are stretched in the last passes, then the section is pressed by the rollers so the material will not slip side lips into the grooves. Another method is to stretch all flutes in one special pass. Because stretching requires considerably higher forces than roll forming, the stretching of grooves usually requires larger shaft diameters. When the material is stretched across the section, it will “shrink” in the longitudinal direction. The shortened length will help to minimize or eliminate waviness. How to get the best grooves? Stretched flutes help more to reduce waviness, but their depth is limited by the elongation of the material. If the elongation of the material limits the depth of the grooves. Then the flutes can be formed to a certain depth, for example, 2/3 of the final depth and the last 1/3 of the depth is stretched. This combination will provide the right depth without cracking the material. 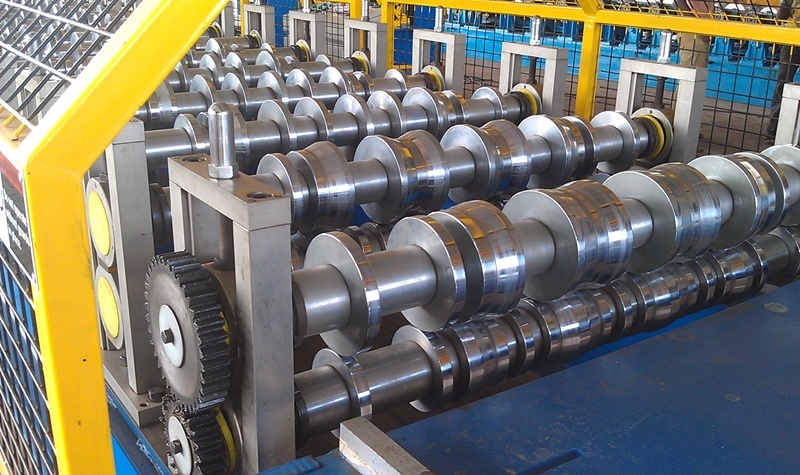 View more information about Roll Forming Machine Design. Believe Industry Company have a full range of roll forming machine for different applications. And we have an experienced designers to design the machines as per requirements. Contact us for more information.